I’ve always been drawn to this look, probably because it’s almost impossible for me to achieve without a) frying off my already-fine hair, and b) looking like Casper (I’m pasty white). But there’s something so California-surfer cool about hair that’s been bleached almost white, paired with a golden tan and some bold brows. I’m particularly fond of dark roots showing, as well. 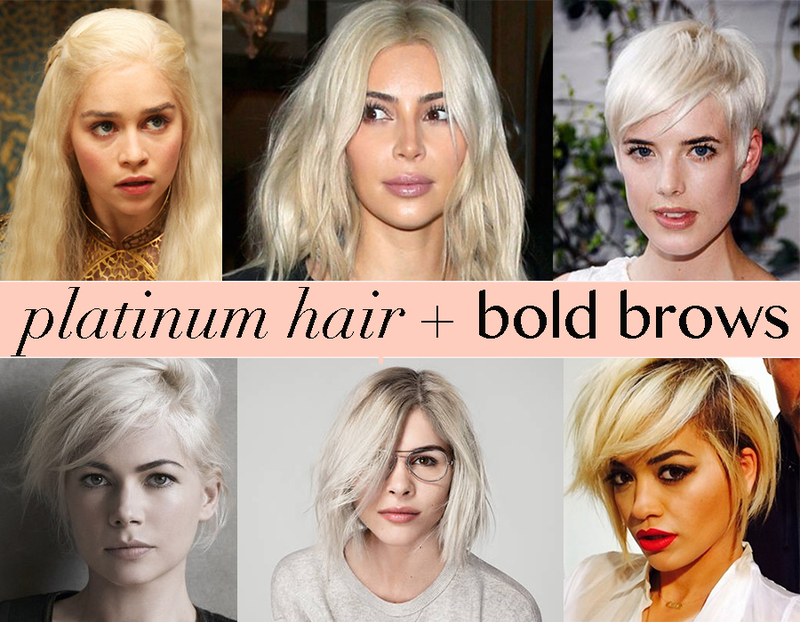 Personally, I think Game of Thrones character Daenerys Targarian (top left) is responsible for bringing on this trend; how can you not be mesmerized by a silver-haired badass dragon queen? But my favorite is Michelle Williams for Louis Vuitton 2014 (bottom left), she is just so damn chic and the tousled bedhead just adds a tiny bit of grunge. Who do you think pulls off the look best? (left to right): Daenerys Targarian from GOT, Kim K, Agyness Deyn. next row: Michelle Williams, Emily Weiss, Rita Ora. Remember how when you were a kid, you got rewarded for things? You got a sticker for doing well on a test, or a lollipop for going to the doctor? My personal favorite was at the end of each dentist visit, I got to choose a pretty toy ring. Well, I feel like we should continue getting these rewards as adults, especially when we get through rough things in life. I recently got some very good medical news, and decided to treat myself to some high-end top quality lipstick. Because when else am I going to splurge on something like that? 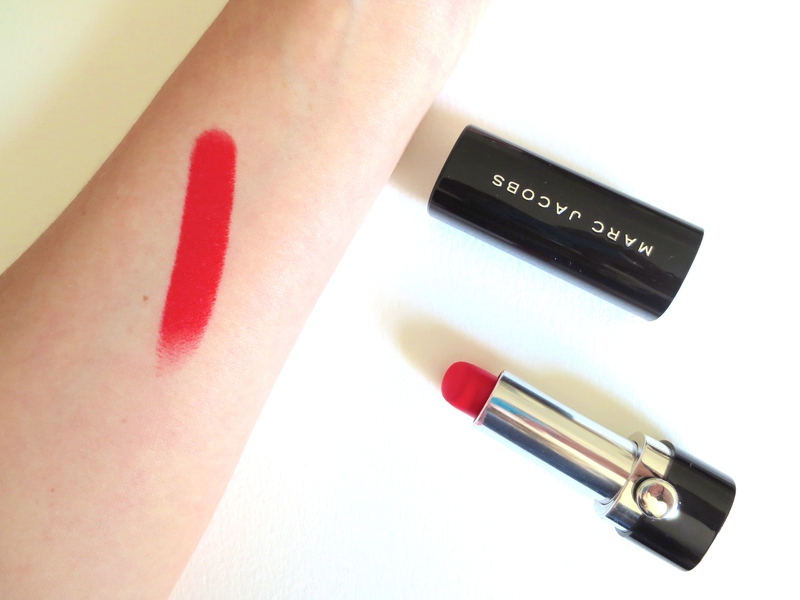 I picked up Le Marc crème Core Cora by Marc Jacobs lipstick and have been wearing it everyday since. I had been looking for a perfect coral for a while now, and it’s a tricky colour to pull off. They’re often too orange or make your teeth look like you smoke a pack a day… but this one just hits all the right notes for summer. I am slowly painting every room in my house. SOLO. By my self. It was my decision and as a result, my home is a little chaotic. Random furniture is shoved in every room, I’m finding paint splashed on EVERYTHING (including myself). But it will be SO WORTH IT once it’s all completed. I can’t wait. My computer, my beloved 5 year old macbook, is on the fritz. It takes about a half hour to turn on. Uploading pictures? I’m looking at about 2 hours of rainbow swirl time-outs. So it’s incredibly frustrating and frankly I can think of better ways to spend a sunny day. I need to look into fixing it up, or just biting the bullet and buying an upgrade. ::Soon::. 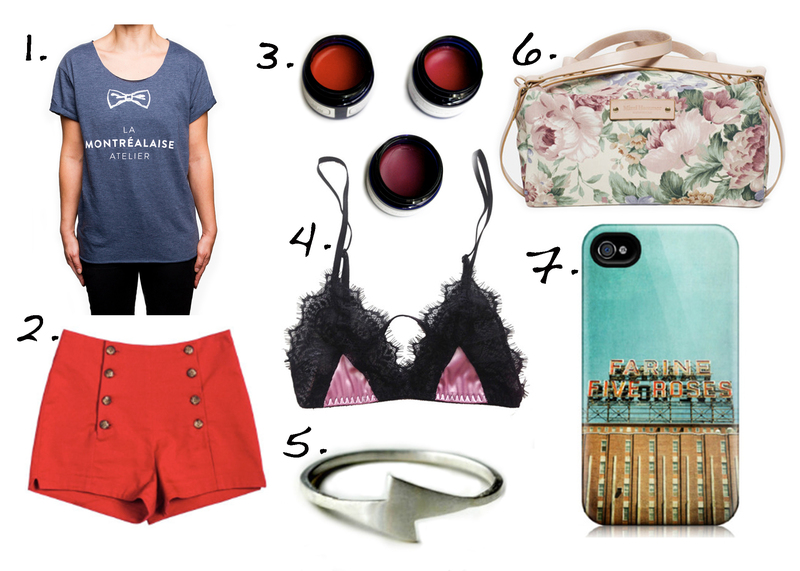 In case you missed it, I wrote a fashion article for YUL.BUZZ on my Made in Montreal Wishlist (collage featured below). For details on all the items, check here.